Knowledge is the basis for an innovation process. So when working on innovations it is good to know what has already been developed and what information is available. This comprises both successes and failures, as from failures we can also learn how to improve. There is a lot of information available, from scientific research as well as practical experiences. However, the majority of this knowledge is difficult to find and especially scientific studies are not easily accessible to the industry. To overcome this challenge the FERTINNOWA developed a knowledge base, in which all relevant information is included. 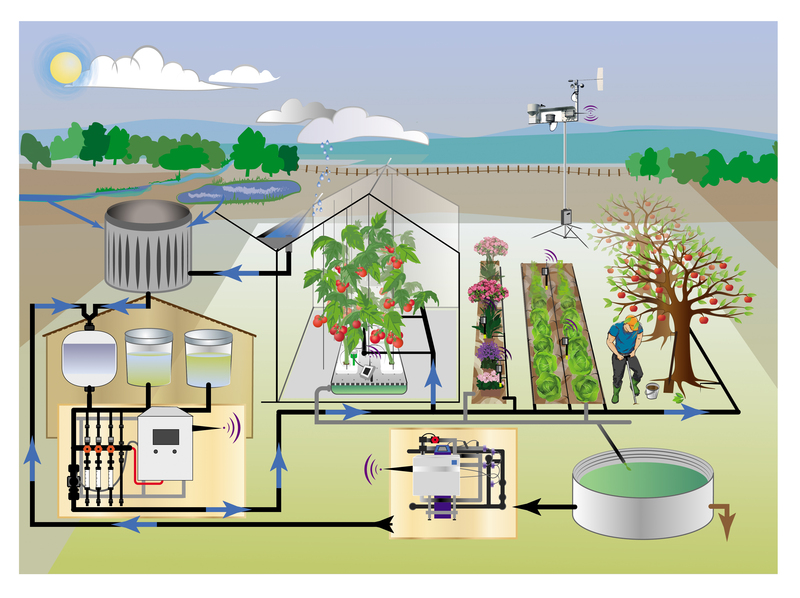 The Technology database is designed not only to provide information on the five main topics of FERTINNOWA (water source and availability, improve irrigation water quality, irrigation/fertigation equipment, irrigation/fertigation management and limiting the environmental impact) but also enabling people to share knowledge with others. 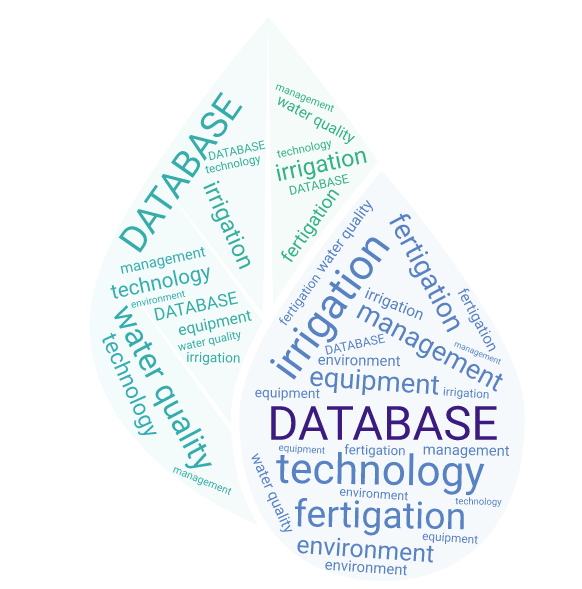 The Technology database allows easy access and the opportunity for advisors, industry and growers to comment on the information available and add their knowledge and experience thereby integrating science and practical knowledge. The tables and guidelines in this database are not all-­encompassing and may not be appropriate for some situations. 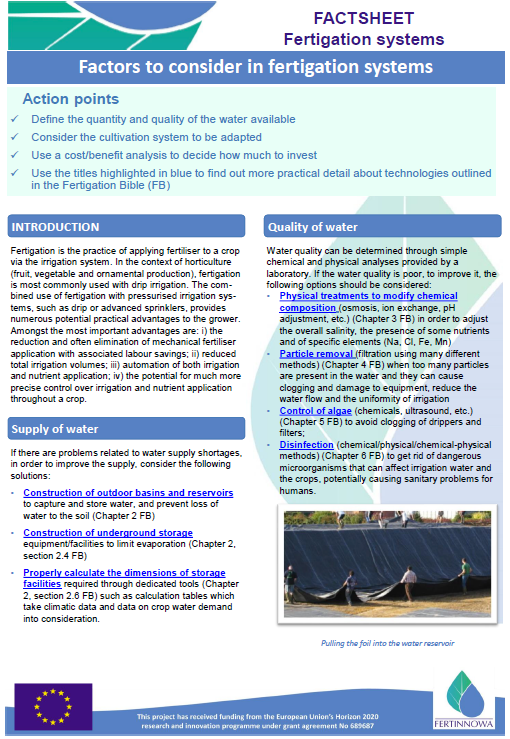 Experimentation and consultation with experts will help establish a water management program for a particular situation.